Box of 3 galvanised steel wire rotary spiral plant supports. 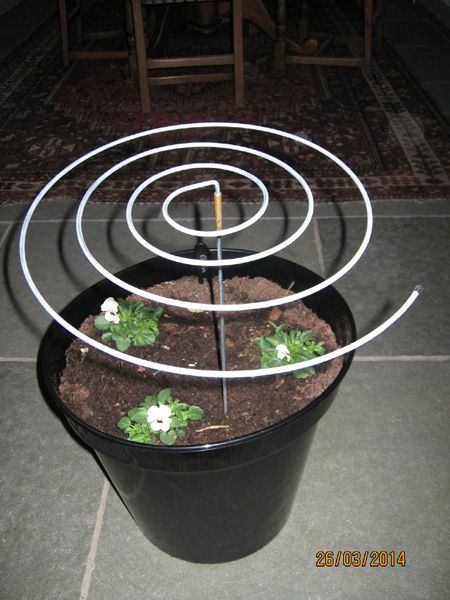 Easy to use - simply insert spiral into metal leg supplied, or bamboo cane for taller plants, and wind into the plant. Can be added at any time during the growing season. At the end of the season remove spiral from leg or cane and flat pack away for easy storage. Ideal for supporting a wide variety of plants including peonies, delphiniums,lilies and so on. In storage the plant support has a diameter of approx 32cm but this will expand a little when stretched by a plant and the leg has a length of 47cm but the sky is the limit when using a bamboo.